Crude Life at National Academy of Sciences, Beckman Center, Irvine, California. Wallpaper by Mark Dion (previous installation). Sean Miller in collaboration with Brandon Ballengee. Rachel Mayeri's video "Crude Life Critters Speak Seven Years After the BP Oil Spill" at far end of room. 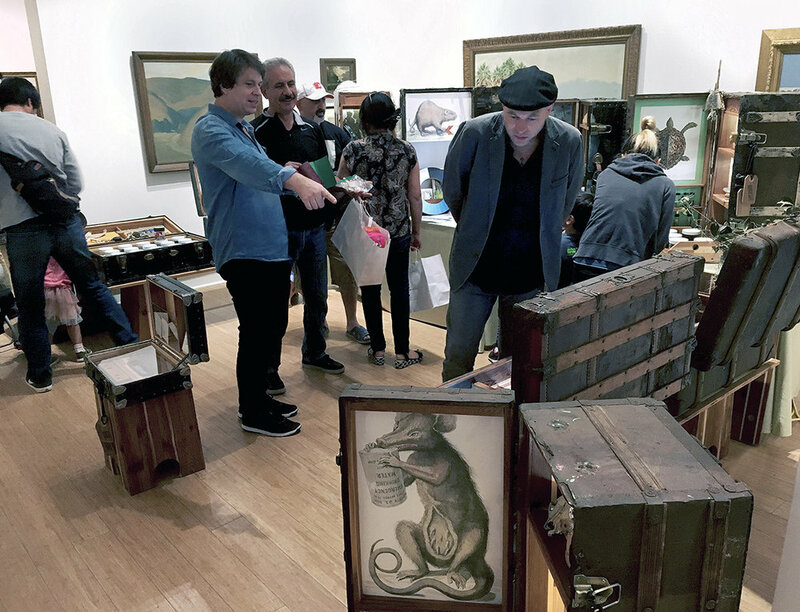 Crude Life Portable Biodiversity Museum for the Gulf of Mexico (Algae Gallery for Dr. Suzanne Fredricq), Sean Miller in collaboration with Brandon Ballengée, 2017. Crude Life Portable Biodiversity Museum for the Gulf of Mexico, Sean Miller in collaboration with Brandon Ballengée, funded through NAFKI: Keck Futures Initiative, for "Crude Life: A citizen art and science investigation of Gulf of Mexico biodiversity after the Deepwater Horizon oil spill," 2016. An interdisciplinary art and science project. Crude Life Portable Biodiversity Museum for the Gulf of Mexico (Invertebrate Gallery Version #2 Detail), Sean Miller in collaboration with Brandon Ballengee , 2017. 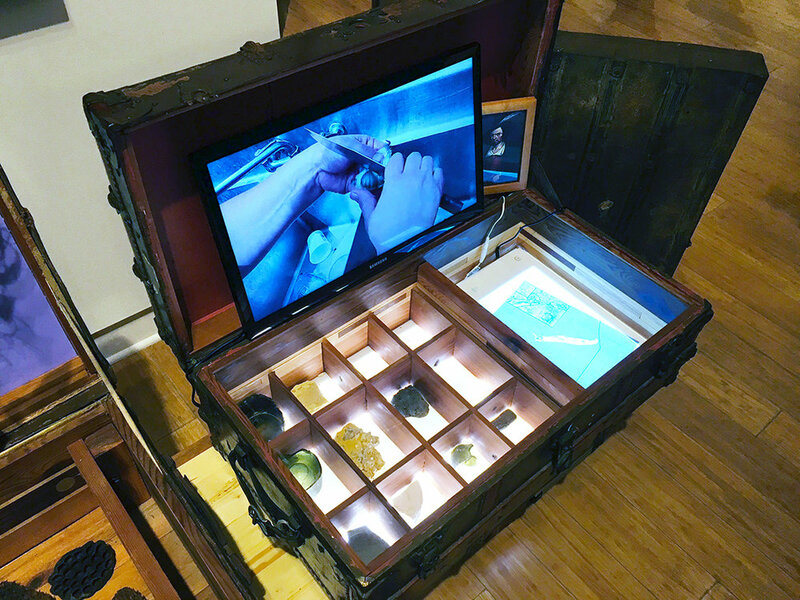 Crude Life Portable Biodiversity Museum for the Gulf of Mexico, Sean Miller in collaboration with Brandon Ballengée, funded through NAFKI: Keck Futures Initiative, for "Crude Life: A citizen art and science investigation of Gulf of Mexico biodiversity after the Deepwater Horizon oil spill," 2016. An interdisciplinary art and science project will gather data on endemic fishes affected by the 2010 Gulf of Mexico oil spill. 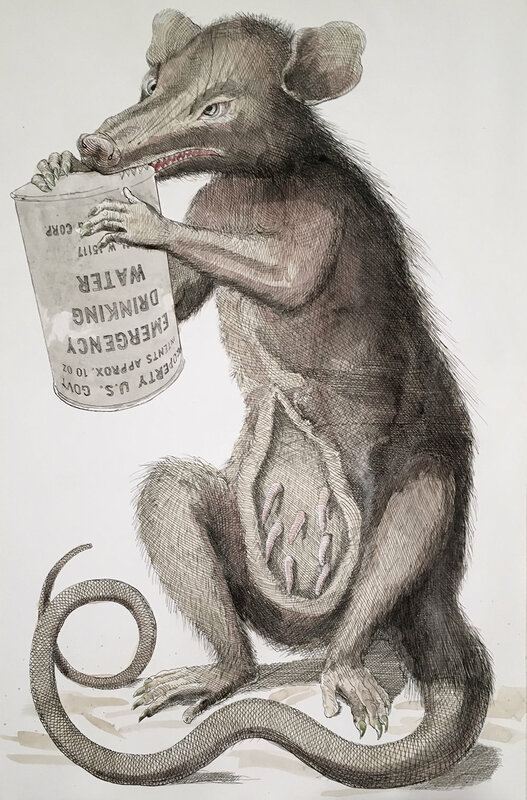 Sean Miller, Southern Common Opossum (After Seba), Ink and watercolor, painted with water gathered from Hurricane Irma), 2017. Crude Life Homage to Robert Rauschenberg, Sean Miller, 2016. 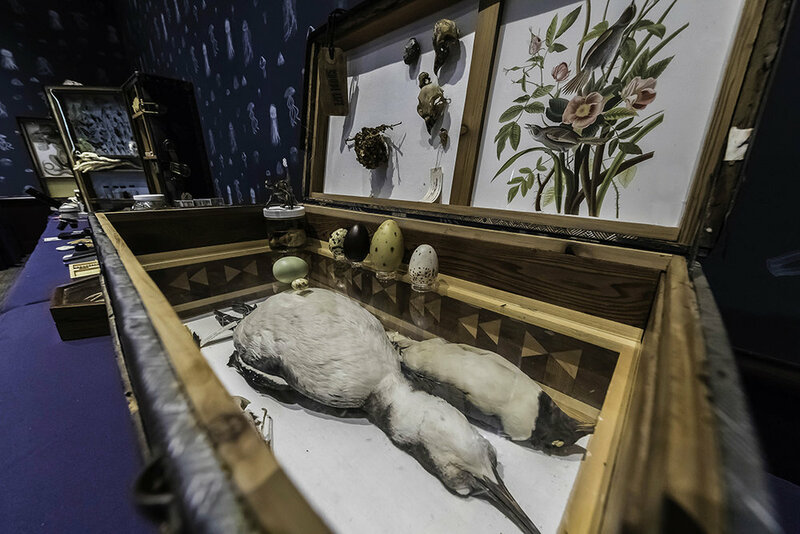 Crude Life Portable Biodiversity Museum for the Gulf of Mexico (Ornithology Gallery detail), Sean Miller in collaboration with Brandon Ballengée, 2017. 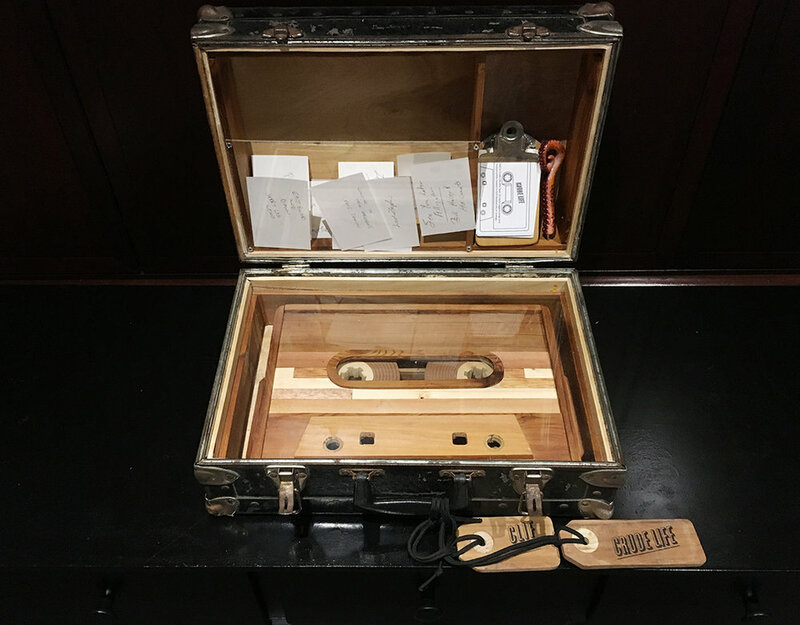 Crude Life Portable Biodiversity Museum for the Gulf of Mexico (Museum Welcome and Information Center), Sean Miller in collaboration with Brandon Ballengée, 2017. 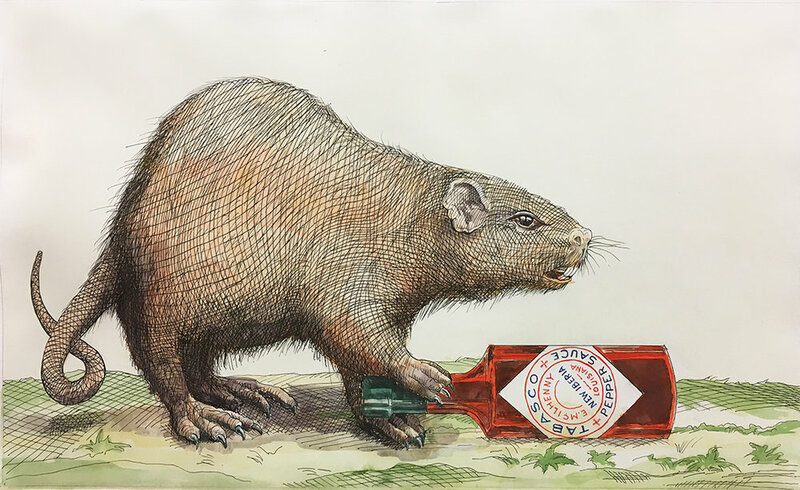 Sean Miller, Nutria with Tabasco Bottle, Ink and watercolor with water gathered from Hurricane Irma, 2017. Crude Life at National Academy of Sciences and Engineering Arnold and Mabel Beckman Center, Irvine, California Wallpaper by Mark Dion from a previous installation. 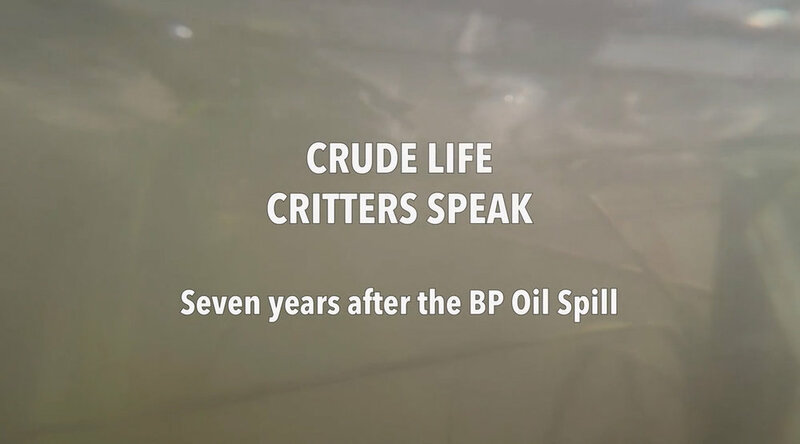 Rachel Mayeri's video "Crude Life Critters Speak Seven Years After the BP Oil Spill"
Crude Life at National Academy of Sciences and Engineering Arnold and Mabel Beckman Center, Irvine, California. Crude Life Portable Biodiversity Museum for the Gulf of Mexico, Sean Miller in collaboration with Brandon Ballengée, funded through NAFKI: Keck Futures Initiative, for "Crude Life: A citizen art and science investigation of Gulf of Mexico biodiversity after the Deepwater Horizon oil spill," 2016. An interdisciplinary art and science project. Wallpaper by Mark Dion from a previous installation. rude Life Portable Biodiversity Museum for the Gulf of Mexico, Sean Miller in collaboration with Brandon Ballengée, funded through NAFKI: Keck Futures Initiative, for "Crude Life: A citizen art and science investigation of Gulf of Mexico biodiversity after the Deepwater Horizon oil spill," 2016. An interdisciplinary art and science project. Wallpaper by Mark Dion from a previous installation. Sean Miller and Brandon Ballengee with museum visitors. Kevin Mahoney, Crude Life Mix Tape Performance, Acadiana Center for the Arts Performance, January, 2018. 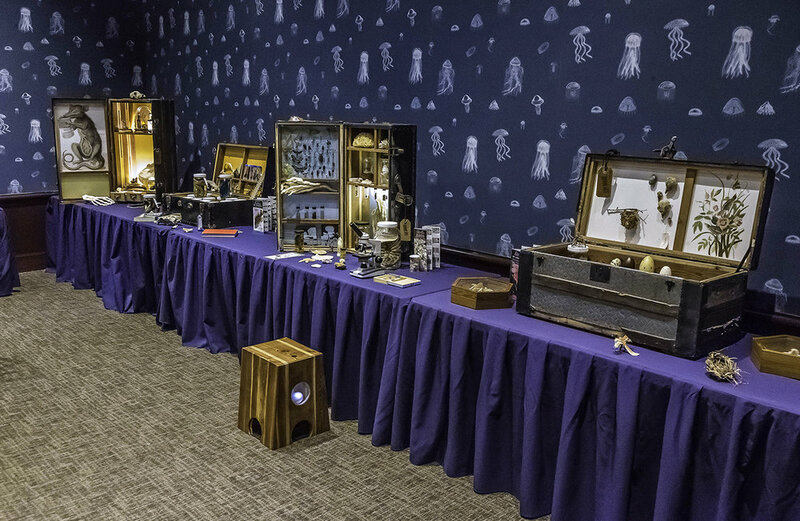 Crude Life Portable Biodiversity Museum for the Gulf of Mexico opening at the Acadiana Center for the Arts, 2018.